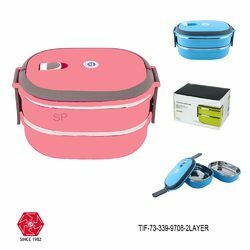 Providing you the best range of lunch box, leak proof, microwave safe, insulated - clear top-lb-408, lunch box-lb-253-aq20108 red, lunch box-lb-91, lunch box-lb-92, lunch box-lb-93 and steel lunch box two layer -tif-73 with effective & timely delivery. 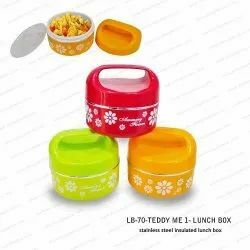 MATERIAL: This lunch box is made from PP plastic, eco-friendly; Safe for children and maintains food grade. 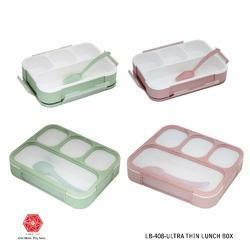 DESIGN: Sleek design of the lunch box makes it practical to use, light weight; organized lunch packing. 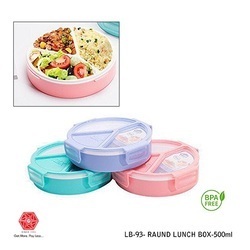 PACKAGE CONTENT: The pack contains a grid lunch box and a spoon. 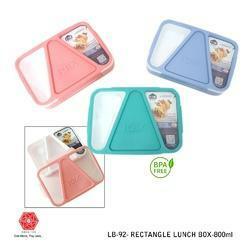 DIMENSIONS & CAPACITY: The measure of lunch box is 1000 ml, which smartly divided into grids. 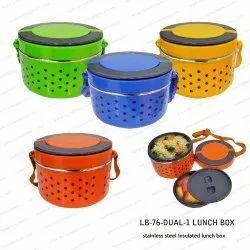 The dimensions are 23 cm x 17 cm x 4.6 cm. 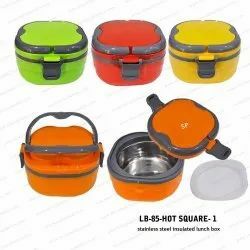 SAFETY MEASURES: Leak proof, Microwave Safe, Insulated, Dishwasher Safe. NOTE: Open the lid for microwave. 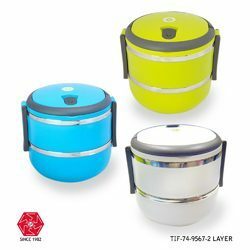 Do not cook, microwave only for reheating. 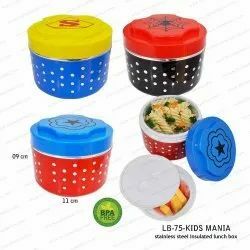 Carry your lunch in style the next time you go to work with this very stylishround lunch box. 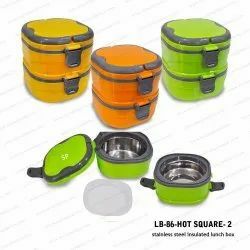 This box is very durable and keeps your food fresh for hours. 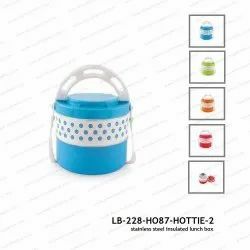 This piece is a must have in your collection of kitchen ware. 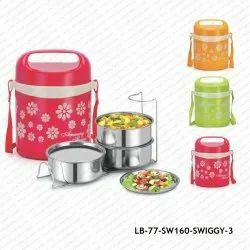 Highly Stainless Steel Insulated.100% Food Grade Material. 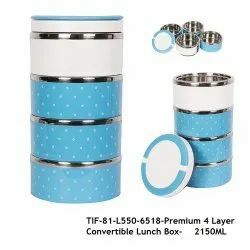 Easily Convertible Lunch Box.Lunch box can be easily " Converted " into 1/2/3/4 layer depending on requirement. Eco-Friendly PP Material Outside,Filled with PU Foam on the inside increasing heat-retaining performance. 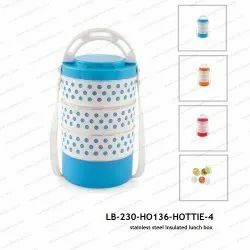 Easy to carry handles with separate compartment design. 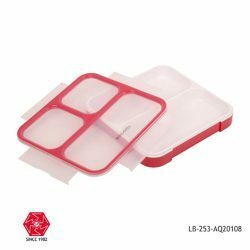 Silicone Ring in each compartment to enhnace the sealing effect. 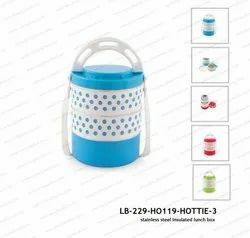 Keeps the food hygenic.